Vikram Chatterjee has been charged for the death of Sonika Chauhan under section 304 IPC or culpable homicide. Vikram Chatterjee was driving Sonika Chauhan home after a party when his car hit a pavement and flipped. The Calcutta High Court has cleared the way for trial to begin in the death of model Sonika Chauhan in a car crash in Kolkata in April 2017. The court dismissed an application filed by actor Vikram Chatterjee, who was driving the car when it crashed, to be discharged from the case. The court observed there is a prima facie case for framing of charges on the basis of the charge sheet filed. No call for discharge without trial, the court said. Vikram Chatterjee has been charged for the death of Sonika Chauhan under section 304 IPC or culpable homicide not amounting to murder, besides rash driving, causing grievous hurt, mischief and driving under the influence of alcohol and drugs. In October last year, Vikram Chatterjee had filed an application before the High Court claiming there was no case made out for Section 304. His lawyer argued that Vikram Chatterjee did not have the knowledge that his action could lead to death. There were also claims of "undue influence" of a private person in the case who was not even the de facto complainant. Now that the Calcutta High Court has ruled that the trial can begin in the case that had shocked Kolkata. Well known and highly visible, Sonika Chauhan was a popular model and television anchor. She was in the passenger seat of the car driven by Vikram Chatterjee when he allegedly sped at over 100 kmph down a city street in the dead of night, suddenly lost control and crashed. 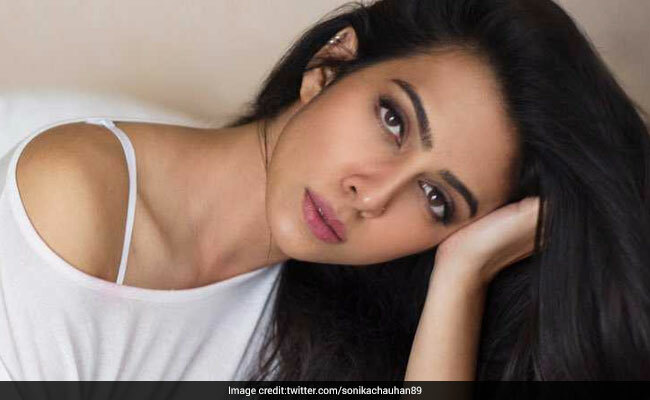 Sonika Chauhan, barely 27 years old, was rushed to hospital but in vain. Her family's lawyer, Sanjay Basu, welcomed the high court order. "There was an effort to delay and derail the trial. The Honorable High Court has dismissed and negated such an effort and cleared the way for the trial to start. We will try and completely the trial as expeditiously as possible," he said.